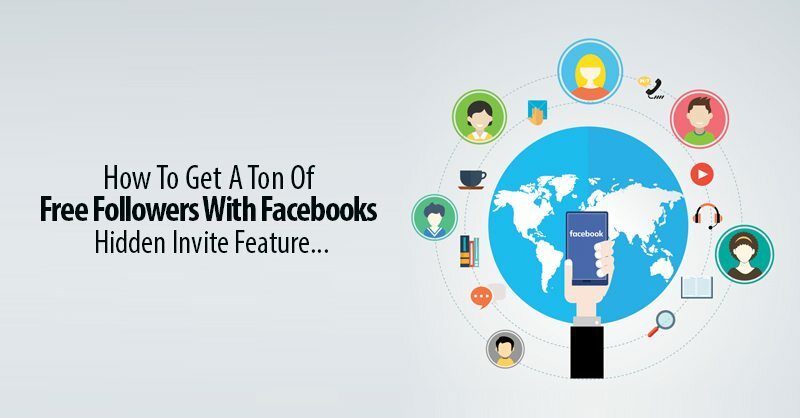 How To Get A Ton Of Free Followers With Facebooks Hidden Invite Feature. 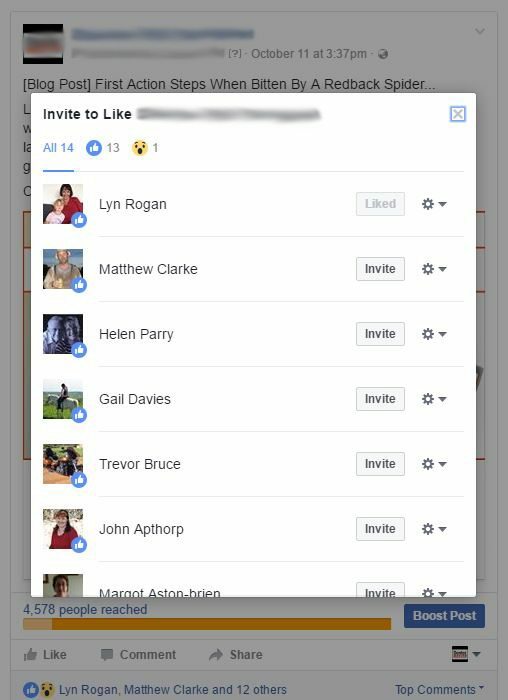 Anyone who manages a Facebook page for their product or business is well aware of the “invite friends to like this page” feature that Facebook has had available for quite some time now. What fewer people are aware of is the new and somewhat mysterious “hidden invite” button. It’s called the “hidden” invite button because it seems a bit illusive, in that it is not always there when you look for it. Some say that it is a new feature that Facebook is still testing in it’s beta phase, and therefore it is only available to some people some times, while remaining hidden for the rest of the time. Regardless, any time you are clicking away, managing your Facebook page and trying to get likes, you should definitely keep an eye out for this guy. If you’re lucky and manage to spot it, then you’ll be pretty impressed at how fast and easily it can help you to get a whole mess of new likes and followers with speed and efficiency. One thing that makes this new feature so powerful is that you are not just throwing money at Facebook to broadcast your ad to a bunch of randoms, or generate non-organic interactions with your post. This is a way of actually interacting with real people who actually clicked the like button on something that you’ve posted, and then allows you to invite them to like and follow your page – even if they are not on your friends list. If you manage to come up with a post of something funny, clever, useful or otherwise attention grabbing, and that post circulates among a ton of people who liked it, this button will allow you to view a list of those who liked your post and send them a direct invite. First, we obviously post some content. 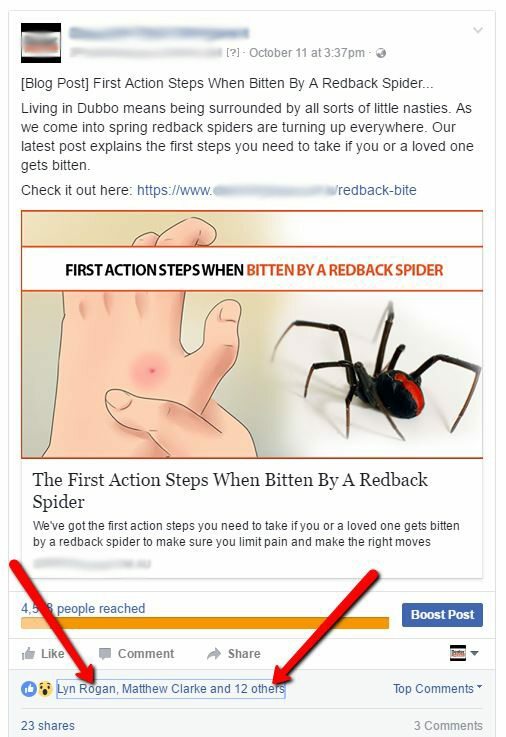 In this case, some useful info from our friends at Dentec Pest Management on what to do if bitten by the infamous redback spider. Notice at the bottom how there is a linked list of people who have liked the post so far. You can see by this graph the amount of likes start to skyrocket after we began inviting people to like the page. If you look here, you can see a chart showing the likes that our post has generated before we used the hidden like button to send out invites to our page. You can see from this screenshot the page had 597 likes before we invited anyone. 24 hours later after we invited people who had liked the redback spider post the like count had jumped up to 612. Another reason this is powerful is because unlike previous forms of Facebook marketing, it relies on a warm lead rather than a passive advertisement or cold approach. If you invite someone who has already clicked like on something you have posted, they are then up to 20% more likely to accept your invitation to follow your page than in other cold style approaches. If your not super familiar with the numbers in marketing, 20% is HUGE! The method is quite simple. When you see the hidden like button, click it. You will be shown a list of those who have liked your post next to a button that allows you to send that person an invite, or a button indicating that you have already sent that person an invite. Invite as many as you can and grow your reach so that posts start to generate more and more activity. This is not a free-for-all, however. Facebook is careful in how it approaches user based advertisements and doesn’t want their site to turn into the spam ridden chaos that befell myspace so many years ago. This new feature does come with some limitations. One limitation is that you are subject to a limit of how many invites you can send per day. The number of invites you are limited to seems to fall arbitrarily somewhere between 500 and 1000 invites on any given day. Many of these unpredictable patterns that Facebook is rolling out are probably there to keep their formula from being automated or too easily scriptable as an attempt at keeping things organic and avoiding an overwhelming amount of spam which can lower the quality of the user experience. Marketing and advertising your business can seem a daunting task, but with the proper tricks and some powerful tools like the one mentioned here, you can immediately start to notice large increases in your business’s reach. We have the tools and we have the talent, so if you’re looking for more tips on how you can grow your business, give us a shout and then we’ll all be marketing together. Should I be using Hastags in my Facebook marketing?